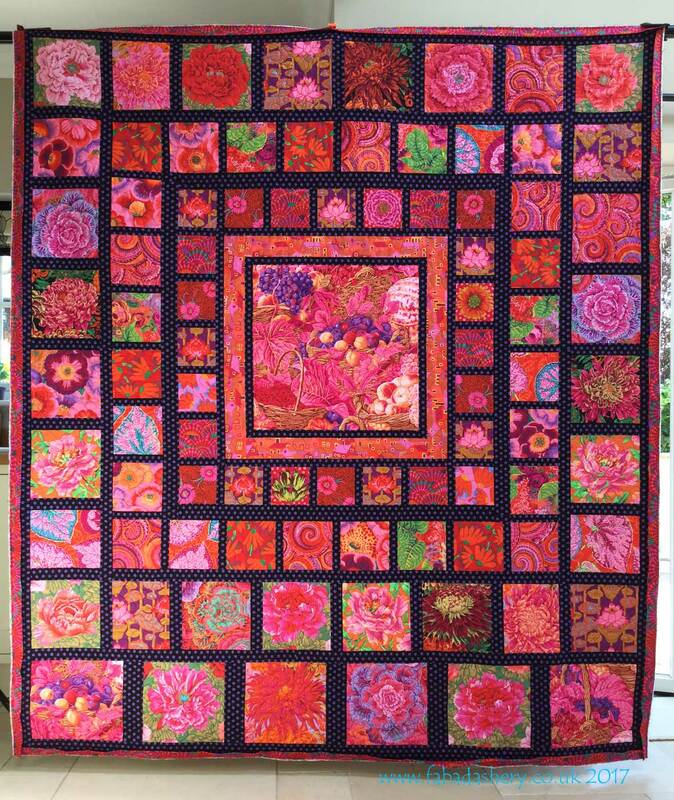 Here is another Kaffe Fassett quilt, made by Shona, which I have long arm quilted. 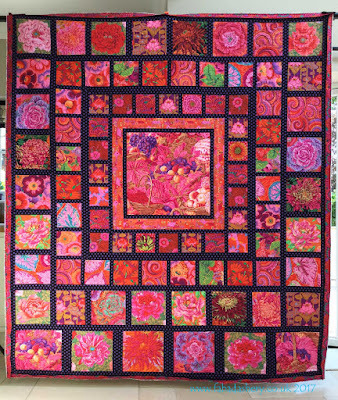 It is called 'Red Squares' and is from Kaffe Fassett's book 'Heritage Quilts'. 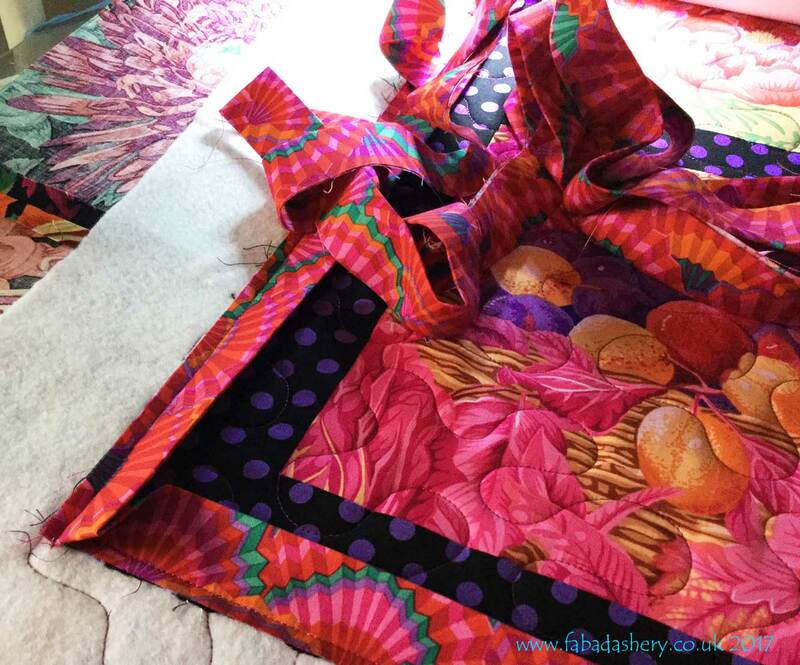 Whilst having her quilt quilted, Shona also took advantage of my quilt binding service. 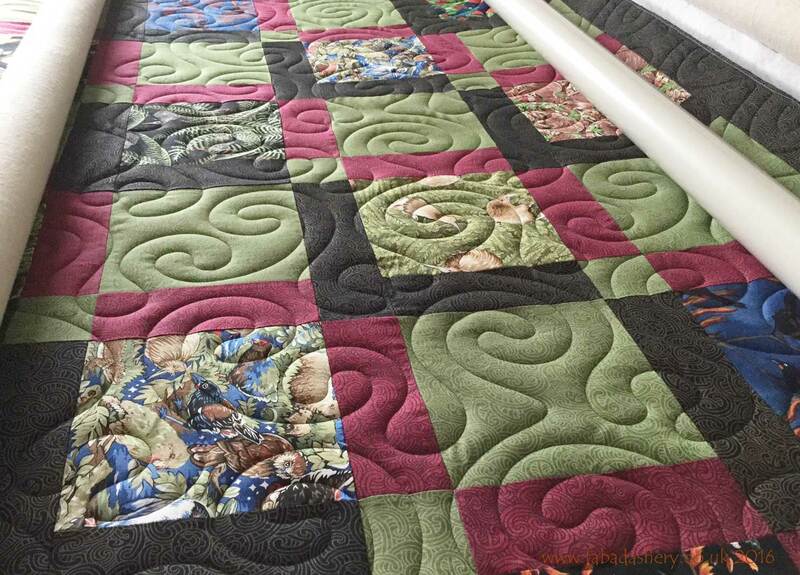 All you need to do is provide the binding fabric ready prepared in a long enough strip and I can add it onto the quilt whilst it is on the frame. 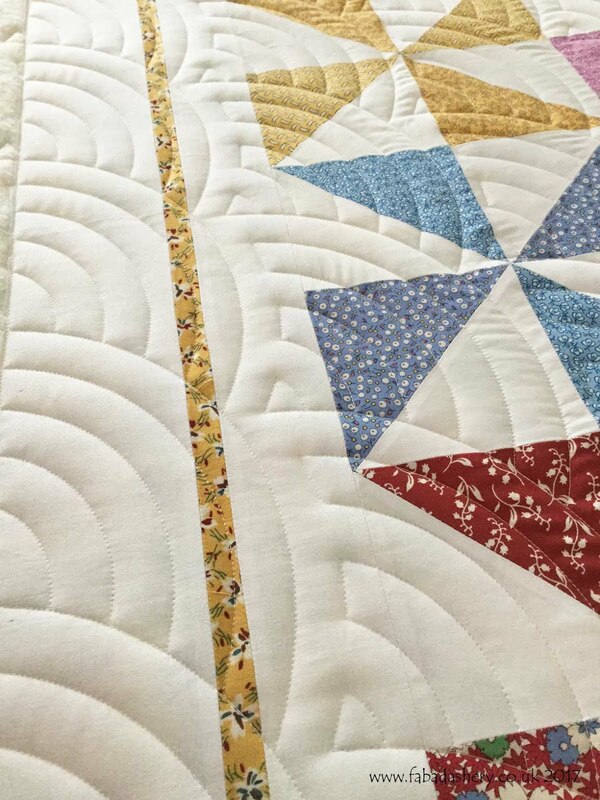 The quilt is then trimmed and ready for you to hand sew the binding on the reverse. 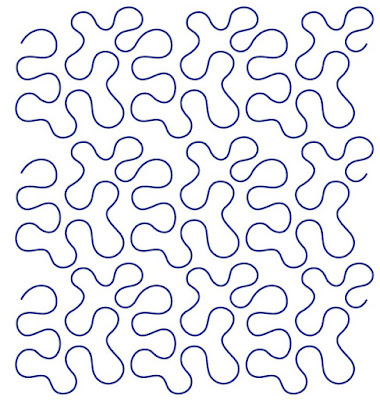 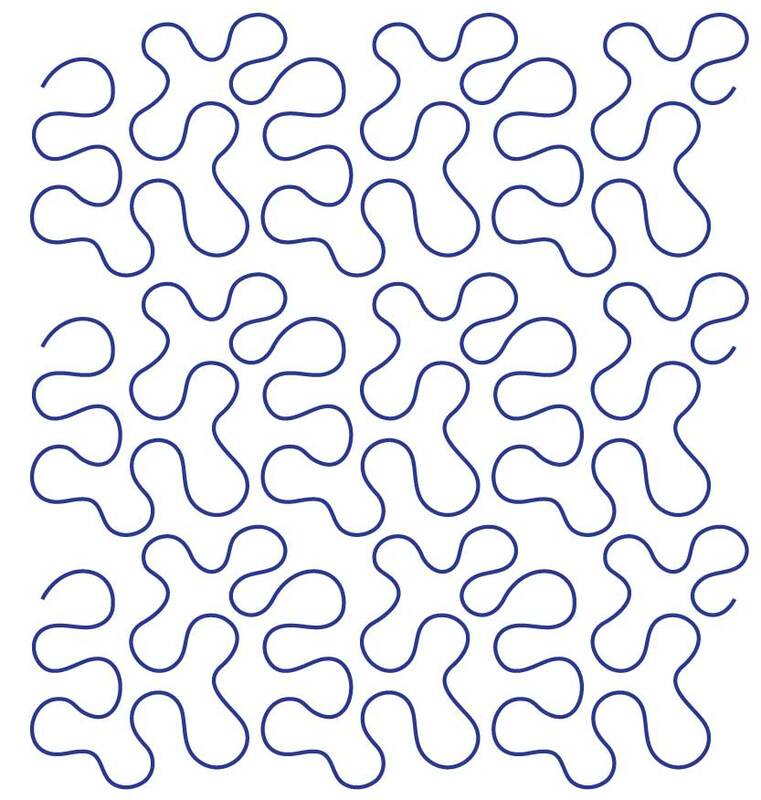 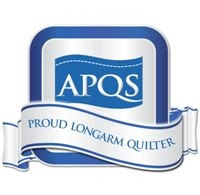 If your quilt is large I would recommend this service as it saves a lot of the struggle of getting a huge quilt back under your domestic machine. Also in this picture you can just about see the GORGEOUS Kaffe Fassett fabric which Shona chose for the back of the quilt. 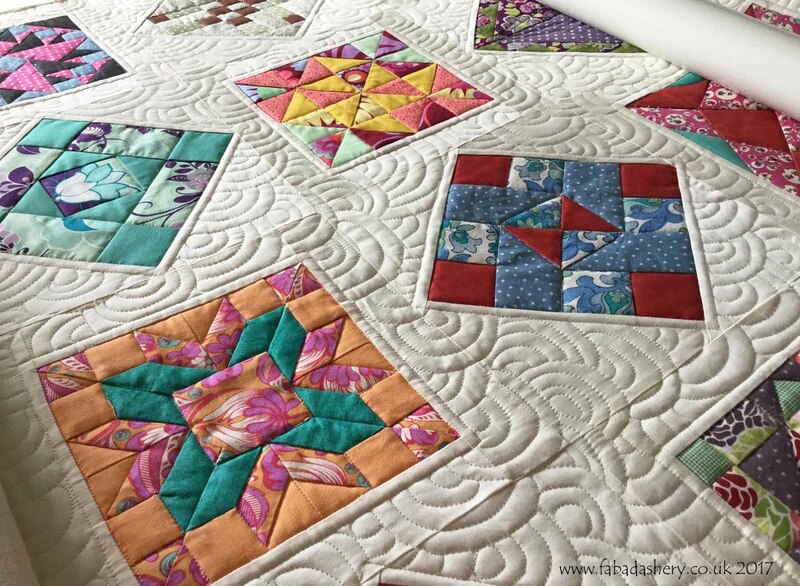 The Kaffe Fassett fabrics tend to be lighter weight than others, so sometimes they are a good choice if you want to keep the weight of a large quilt to a minimum. 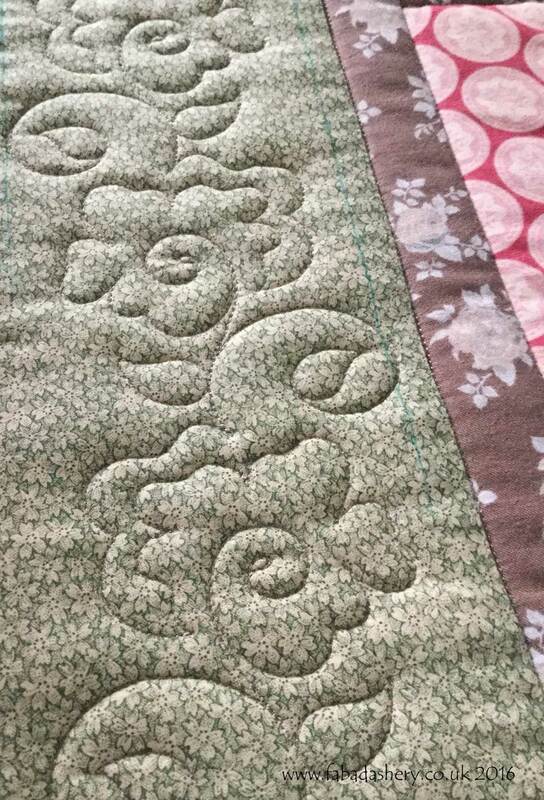 She also brought me a lightweight Quilters Dream cotton wadding, so for a large quilt it was not at all heavy. 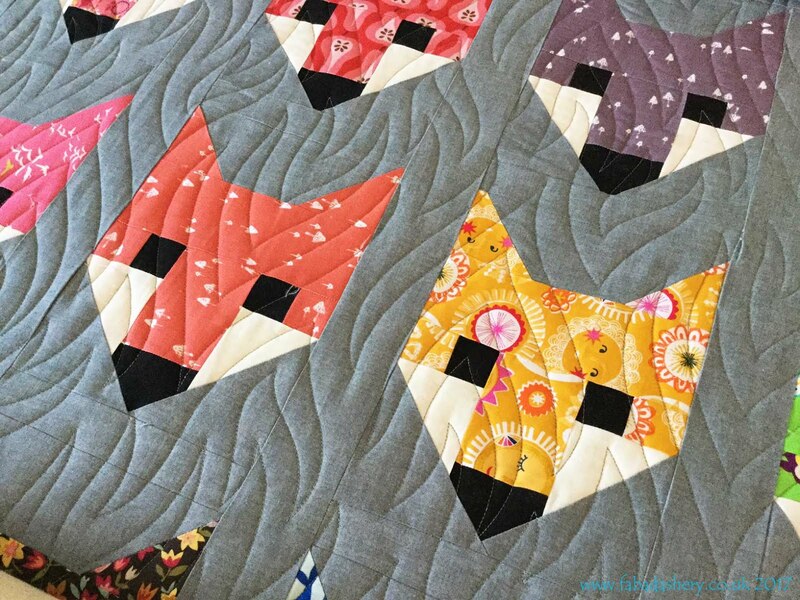 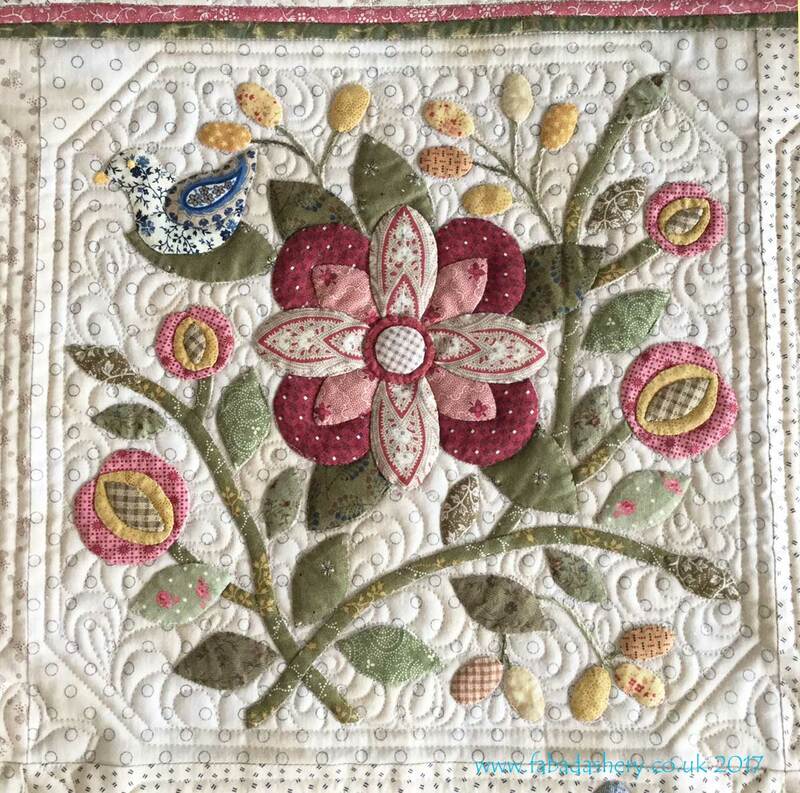 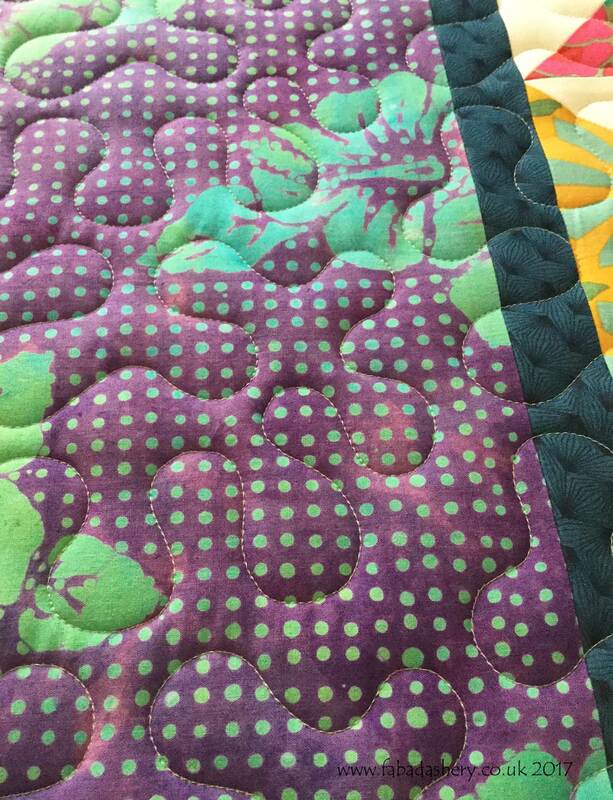 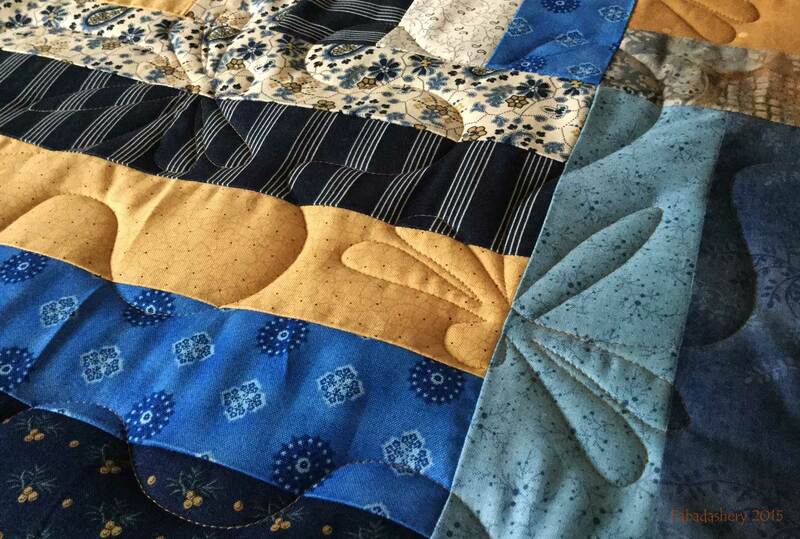 These fabrics tend to speak for themselves so just an all over gentle meander using the 'Bam' digital pantograph was enough for this already beautiful quilt.